The Consumer Financial Protection Bureau released a bulletin today outlining expectations for mortgage servicers that transfer loans. The bulletin particularly demands servicers pay special attention to rules protecting borrowers who’ve applied for loss mitigation assistance or mortgage modifications. The bulletin warns servicers that the CFPB will carefully scrutinize loan transfers with pending loss mitigation applications or loan modifications. “Servicers engaged in significant servicing transfers should expect that the CFPB will, in appropriate cases, require them to prepare and submit informational plans describing how they will be managing the related risks to consumers,” the bulletin stated. Some of the nation’s largest servicers have been under fire for sloppy service lately. Nationstar, the country’s largest nonbank servicer, was temporarily barred last year from acquiring new servicing rights on loans backed by Fannie Mae and Freddie Mac after concerns that it lacked adequate funding. 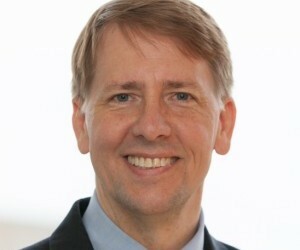 Fellow servicing giant Ocwen was forced to provide $2 billion in consumer relief last year after a CFPB probe found that the company “took advantage of customers at every stage of the process.” Ocwen has also been accused in various lawsuits of illegally foreclosing on properties, failing to provide required notices to customers and mishandling loan modifications.